Sometimes, we need to Convert UTC time into local time for various reasons. If you are in that condition, here is the some lines of code for you to do it. 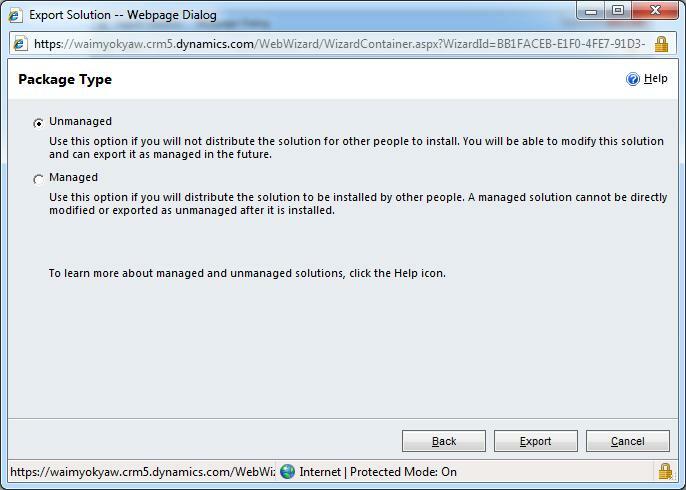 If you want to integrate your CRM 2011 Organization with a separate ERP or Finance system using a product like Scribe or SmartConnect, Dynamics CRM 2011 SOP Integration Mode will make it much easier for you to do. It is not known much and hardly documented setting. Allows you to specify an ‘Integration User’ that can then make changes to Sales Order and Invoice records through the SDK that would normally be read-only to all other users. 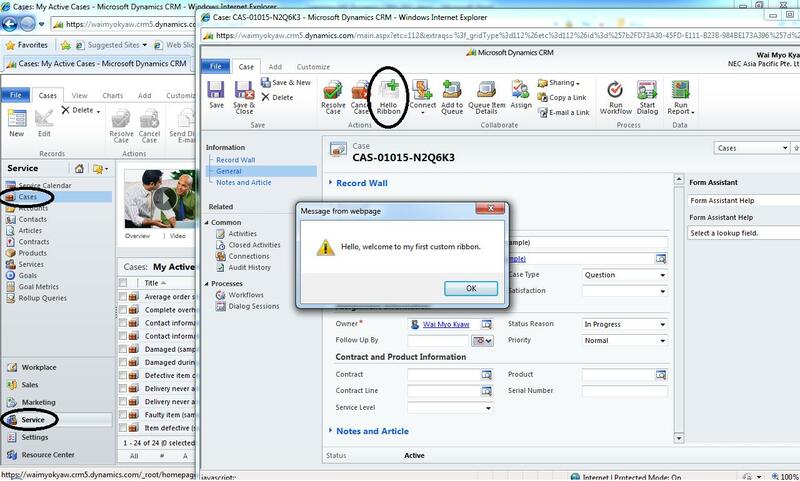 The CRM ‘Integration User’ account can write back to the CRM Sales Order to indicate that it has been successfully created in your ERP system. This would need to happen through the SDK running in the context of the user account that has been marked as the integration user. The Finance Department can review the sales order, apply taxes and currency changes etc. to the record, then post it in the ERP system. 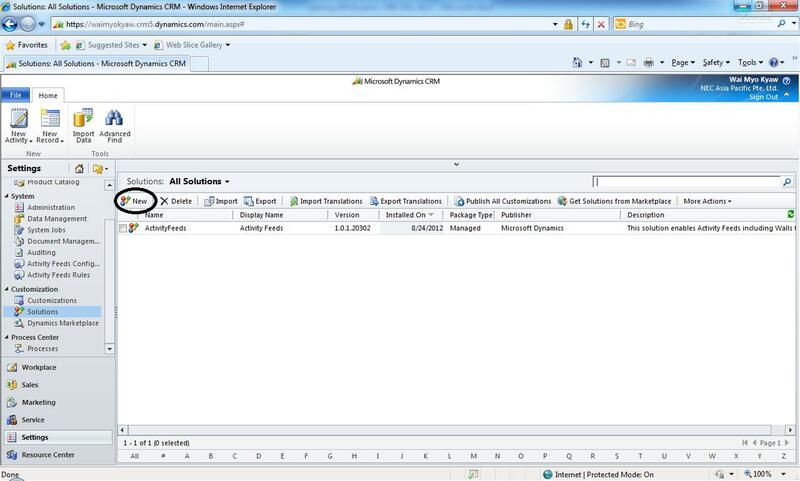 The Integration picks up posted Invoices from your ERP system and creates a copy in CRM for reference by CRM users. As payments are applied to the invoice in your ERP system, another integration updates the payment status of the copy Invoice in CRM. 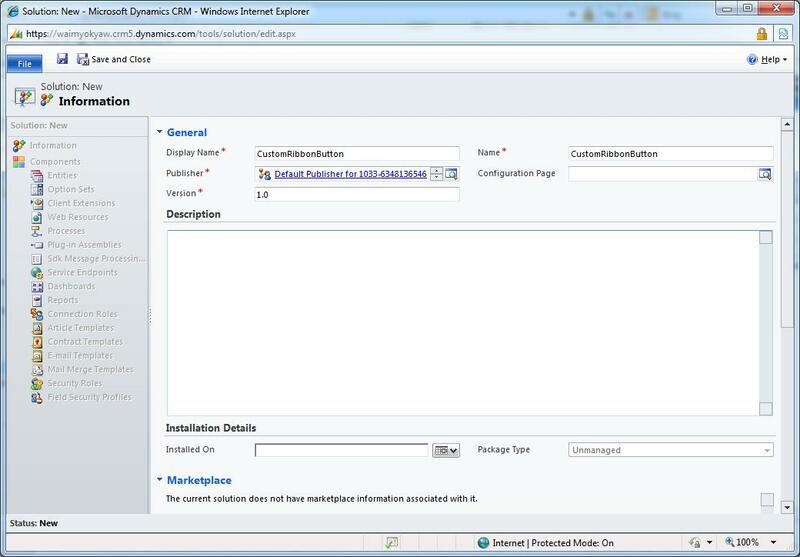 Turning this mode on takes a few steps, the “IsSOPIntegrationEnabled” value is held in the OrganizationBase table of your CRM Organization database. Updates direct to SQL are unsupported, but Sonoma Partners have recently released this tool that allows you to make changes to the OrganizationBase table in a supported way. But if you want to do it by yourself with C#, the following lines of codes will help you to do so. 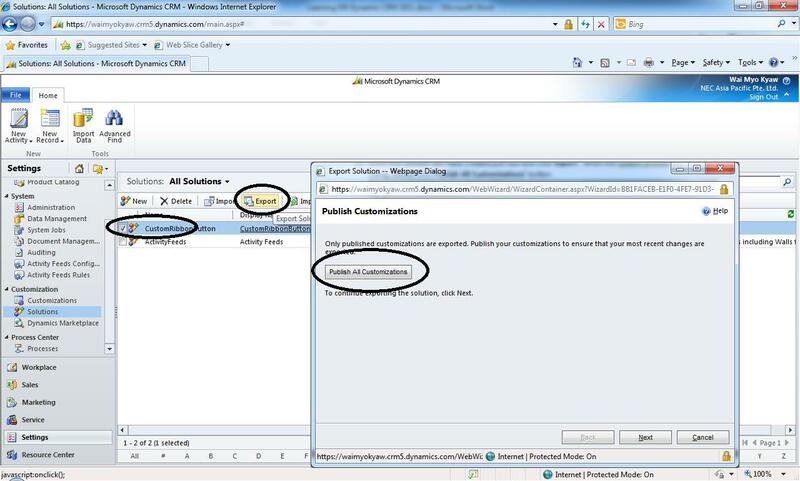 Sometimes, if you want to have a readonly form in CRM 2011, this article is what you want. 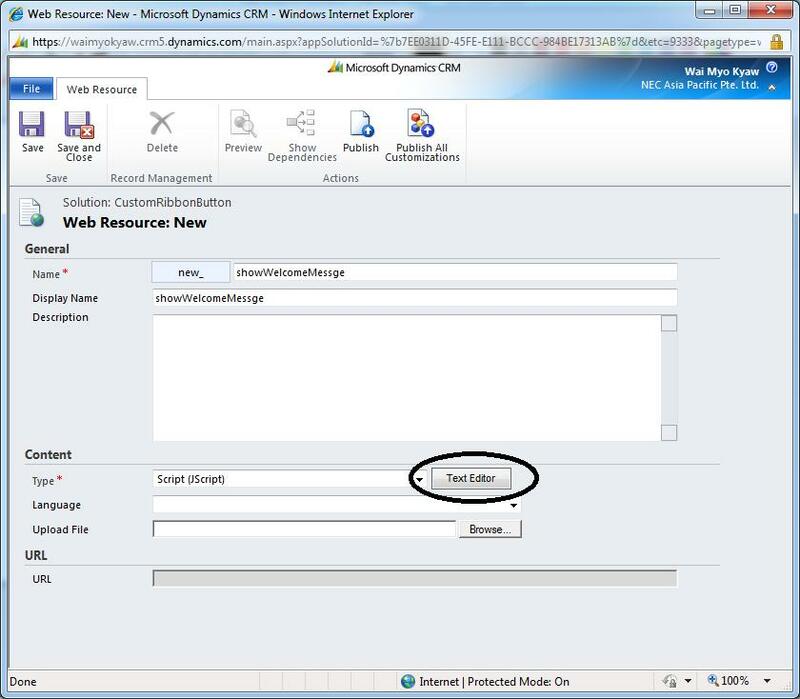 We can call the following URL for readonly form in CRM 2011. Default is false. 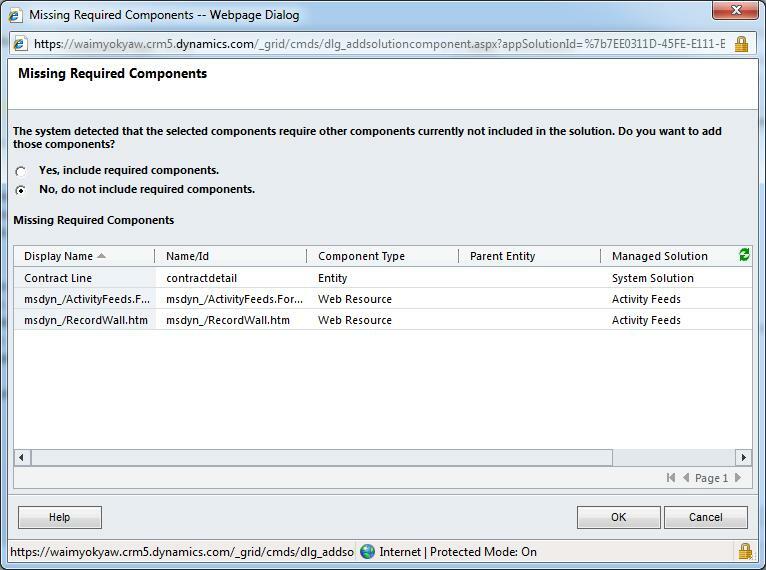 If CRM form has a Sub-Grid in it, this parameter decides whether to show Paging for the SubGrids. If set to true, it will show all the records of Sub-Grid, without any Pagination. 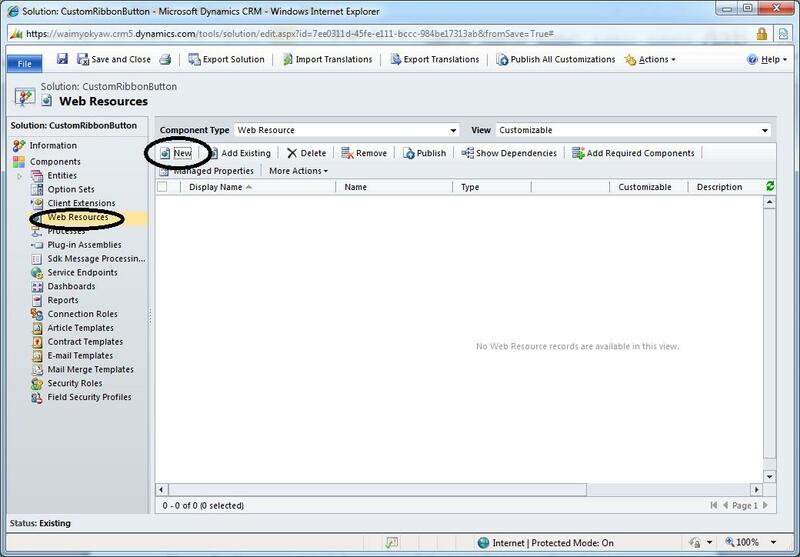 Optional Form Id, if not given it and if there are multiple forms available for given entity it will follow CRM’s way of showing appropriate form. Here is the sample Java script for that. Go to Settings -> Customization -> Solutions. 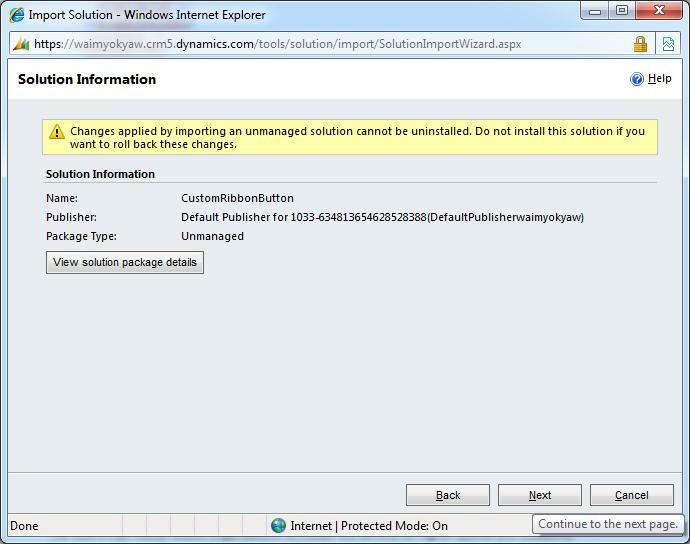 Click ‘New’ button on Solutions page. Fill up Display Name, Name, Publisher and Version as shown in the below figure and click ‘Save’. 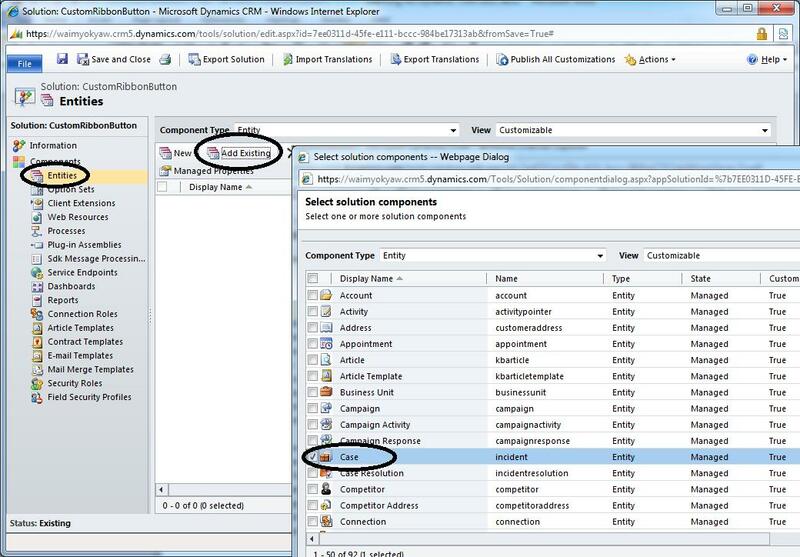 Select ‘Entities’ and click ‘Add Existing’. A popup window will come out and choose any one of the entities to which you want to add the ribbon button. I will choose ‘Case’ entity here. 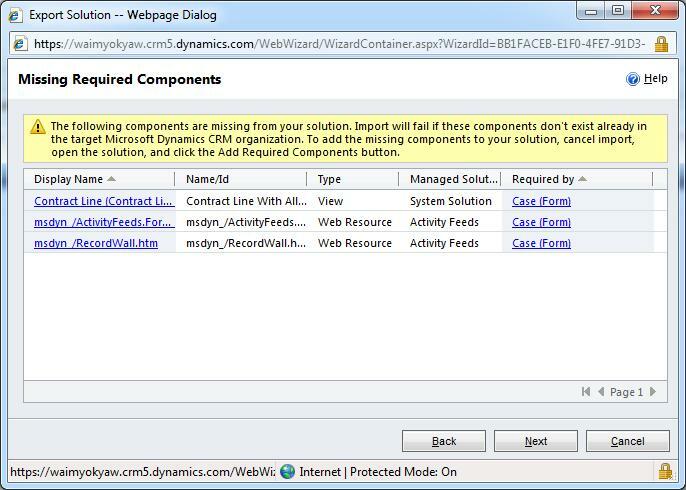 When you see the following dialog, choose ‘No, do not include required components’ as we are just going to add a custom ribbon button. We will add the icons (16×16 and 32×32) to be used for the ribbon icon. 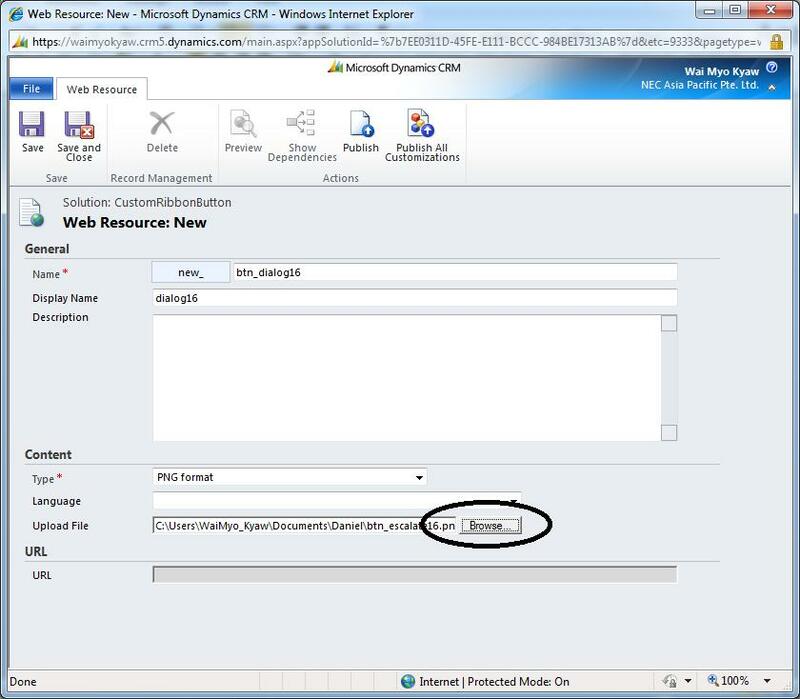 Choose ‘Web Resources’ and click ‘New’ button as shown in the figure. 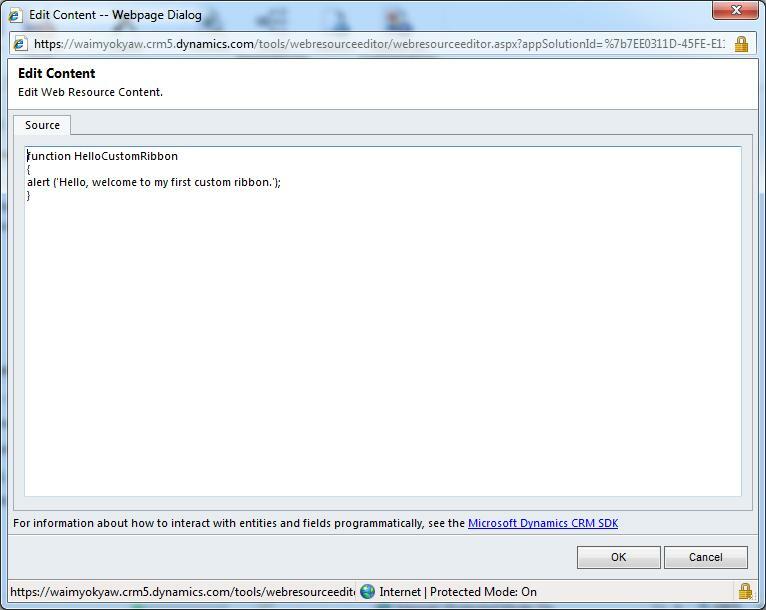 Fill up Name, Display Name, Type and upload the icon file as shown in the figure and click ‘Save and Close’. 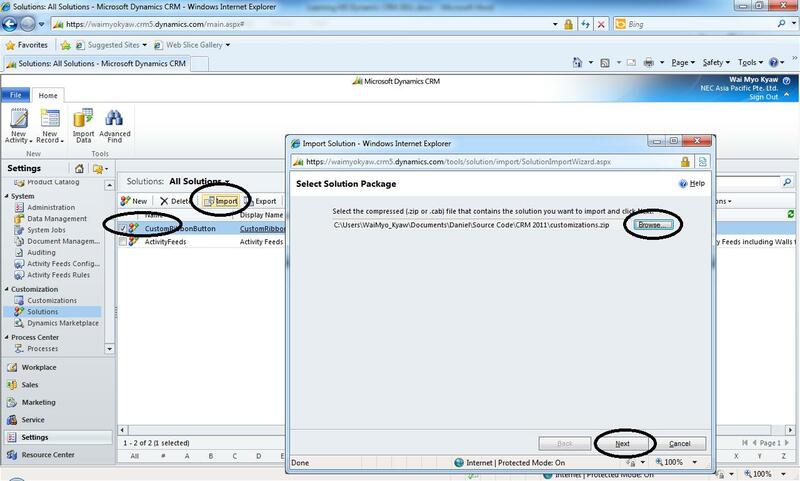 Repeat the step no.6, and upload 32×32 icon file with the file name of ‘btn_dialog32’. 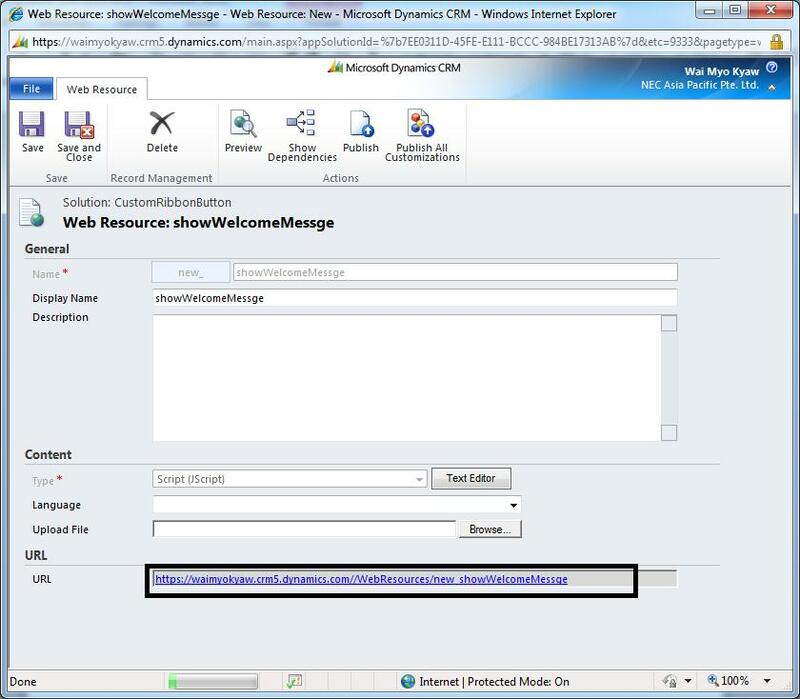 Add another web resource and fill up Name, Display Name, Type and click ‘Text Editor’ as shown in the figure. Write java script as shown in the figure. Now you will see there are two icons and one java script in your web resources. Click ‘Save and Close’. 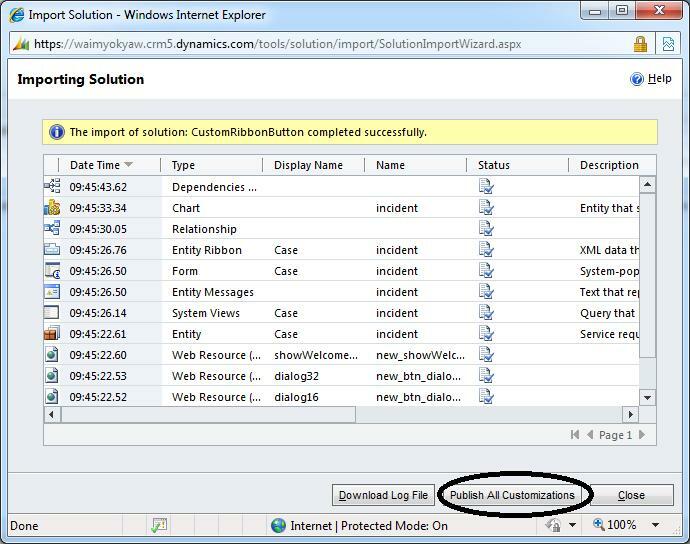 Select the solution you have created just now and click ‘Export’. 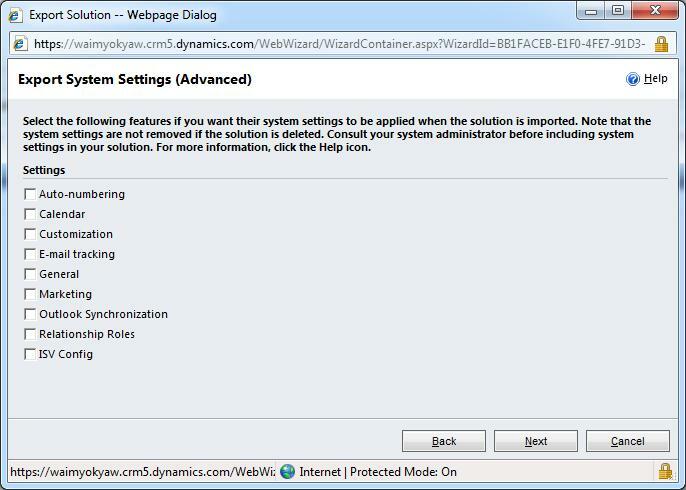 When the system prompts the dialog, click ‘Publish All Customizations’ button and after that, click ‘Next’ button. Ignore all the warnings and click ‘Next’. The exported file is saved as in the form of zip file. Find the zip file and extract it. 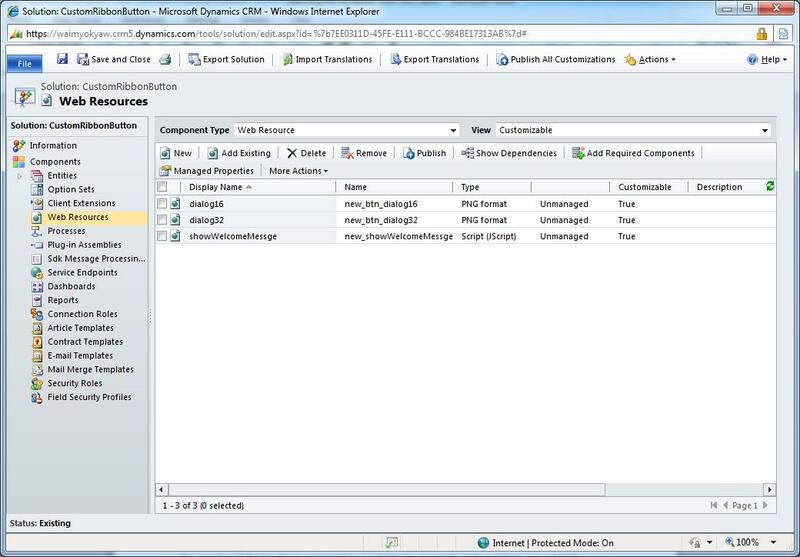 There is a file called ‘customizations.xml’. Open the file and look for <RibbonDiffXml> tag in order to edit it. Unzip the files and import into the system as shown in the figure. Ignore the warning and click ‘Next’. After importing, publish all the customizations again. After that, Go to Service -> Cases and open one of the cases. You will see a new ribbon button on the case form. When you click that ribbon button, you will see the message as shown in the figure.